Stock brass and aluminum tags are an easy option for serial identification. These durable metal tags are perfect for use on machinery, lockers, valves and elsewhere. Both aluminum and brass tags are suitable for indoor and outdoor use. Opt for etched tags, stock tags or numbered plates to best suit your facility organization needs. 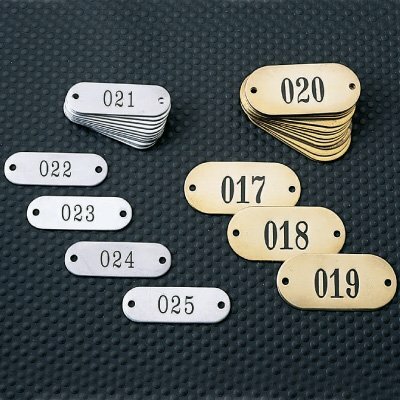 Numbered brass ID plates are ideal for harsh warehouse or outside conditions.